Borghese Gallery tour with an expert guide. Join More of Rome on the tour of Borghese Gallery, one of the most important art galleries in the world. Discover works by the masters of Renaissance and Baroque periods. Our groups for this tour are 15 people maximum, and we use head-sets to make your experience more pleasant. Dmitri really brought the works of art at the gallery to life. Very serious and knowledgeable yet funny and entertaining. The collection is pretty large and you only have two hours to see everything so having an expert guide like Dmitri is a BIG plus. Commissioned in the first quarter of 1600’s by cardinal Scipione Borghese, Borghese Gallery is one of the most important art collections in the world, and second most important in Rome after The Vatican Museums. The gallery is one of the first museum in the world to have been built to be a museum from the start, and it is home to a very impressive art collection amassed by cardinal Borghese and his uncle Pope Paul V.
Borghese Gallery is a “Little Louvre” of Rome, but without the crowds. There is a very strict ticket policy, you can only book it online, not more than 300 people are allowed inside the museum and only for a two hour period. The gallery is home to two thousand years of arts and history; ancient mosaics, Greek and Roman statues, renaissance, high renaissance, mannerism and Baroque. Works by masters like Raphael, Titian, Caravaggio, Bernini, Canova, and also a large collection of paintings by northern-European artists. Our expert guides will bring it to life for you, and will take you to the masterpieces by some of the most important and famous European artists. Be amazed by the works of Bernini who was able to make a solid object like a block of marble become dynamic, plastic and fluid. Discover the paintings by Caravaggio done using his own, impressive and unique technique called “Chiaro Scuro”, Caravaggio used highlights and shadows to put a spotlight on the main characters in his paintings. Admire works of one of the most creative, talented and influential artists in the world Raphael, and learn to read the hidden symbols in Titian’s paintings. Some of the works are scandalous and most of them are surrounded by mystery and gossip, our guides will reveal the hidden messages in the artworks, will tell you the stories and the anecdotes behind them, and of course shed the light on complicated and sometimes twisted lives of the artists themselves. Bags and water bottles are not allowed inside for safety reasons, so these items must be checked in as well. It is very easy to book this tour. Just select the number of people and the date and click book now button. Loved Borghese Gallery and our guide, Anna did and excellent job. He made our tour intersting and elevant. Our group was small (10 people) , as mentioned in the description of the tour. Our guide was willing to answer questions during the tour and even after. Highly Recommended !!! I found this tour EXCELLENT. Anna our Guide was fantastic! Her knowledge was HUGE. It was extremely interesting and would not have gained the insights without her. My boyfriend and I really liked our tour guide. He was funny and informative. Dimitry was highly enganging in the way he shared his passion and knowledge of the stories behind each art work. We will recommend MORE OF ROME TO ALL OUR FRIENDS. 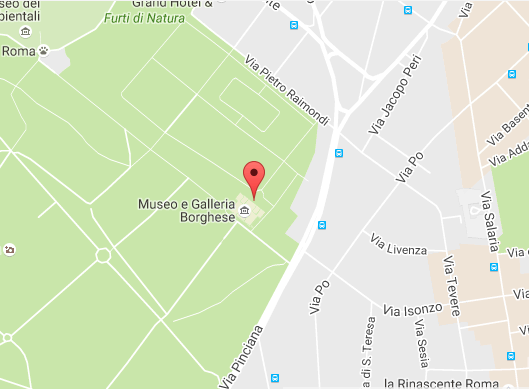 I booked Borghese Gallery tour because we wanted to see the fantastic museum for a long time. Thank to our guide we discovered so much and we were given time to take pictures. 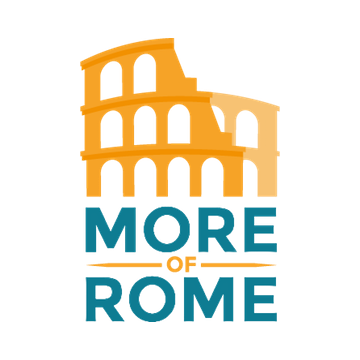 The best way to discover Rome is to book with More of Rome. Tomorow we will do another tour , Underground Rome Crypts Graves and Catacombs. We can’t wait!!!! My daughter and I took 2 tours with MORE OF ROME. We did Borghese Gallery and Jewish Ghetto walking tour. Borghese Gallery tour with Demitri was superbly well informed. The headphonesworked well and we were able to hear everything. We were 8 people. Great Job ! 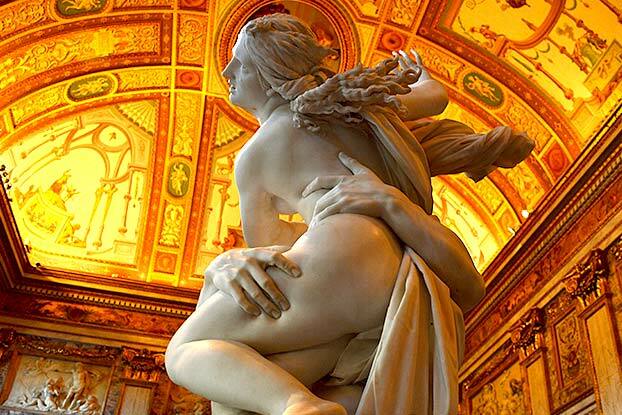 Richard P & Jeanne M.
I booked Borghese Gallery tour because we wanted to see the fantastic museum for a long time. Thank to our guide we discovered so much and we were given time to take pictures. It wasn’t my first time in Rome but my first time using a guide, and it was NO MISTAKE. More of Rome does thi job amazingly well!!! Our Guide had a distinctly professional manner andlet us see Bernini statuary in a different way to appreciate the strenght of his art. There was a lot of information imparted to our group.Our wonderful guide with over 25 years of experience led us through this amazing Gallery. Amazing tour of the Borghese Gallery. Guide very informative. We spent 2 hours in one of the best museums. 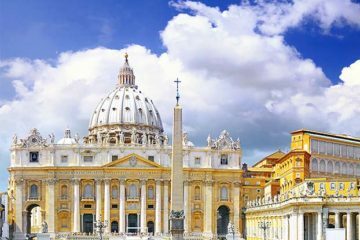 You cant’ go wrong booking with More of Rome. Just Perfect! My family and I took this tour few days ago with More of Rome. The Gallery has a huge collection of artworks. We really enjoyed the tour with our guide . She was very informative. The Gallery is filled with many different pieces of art. and statues. Our Tour guide was enthusiastic and she explained everything about what we were seeing. The best way to see Borghese gallery is with More of Rome. Anna , our guide, simply brought the artworks to life and it was amazing! I never imagined that one could analize painting and statues like that! FIVE STARS!!! !